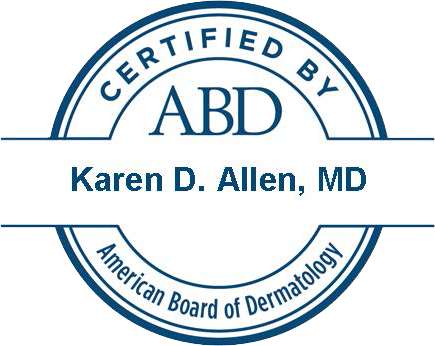 DISCLAIMER OF Karen Allen, M.D. Karen Allen, M.D. expressly disclaims all warranties and responsibilities of any kind, whether express or implied, for the accuracy or reliability of the content of any information contained in this Web Site, and for the suitability, results, effectiveness or fitness for any particular purpose of the services, procedures, advice or treatments referred to herein, such content and suitability, etc., being the sole responsibility of parties other than Karen Allen, M.D., and the reliance upon or use of same by you is at your own independent discretion and risk.